Four miles east of San Rafael on the shore of San Pablo Bay. From Highway 101, go east on North San Pedro Road for five miles until it enters the park. The FOCC website (friendsofchinacamp.org) has extensive information about the park which includes upcoming events, programs offered, natural and cultural history, things to see and do, picnicking, camping, recreation, and annual passes. FOCC's 2016-17 Operations Report is available here! The park is nestled along the shore of the San Pablo Bay. The road through the park offers beautiful views of the waterfront. Features include an extensive intertidal salt marsh, meadow, and oak habitats. There is a variety of wildlife, including deer, squirrels, coyote, fox, bats, and numerous birds. The California clapper rail and the salt marsh harvest mouse are endangered species that live in the marsh areas of the park. Fishermen by trade in their native country, they gravitated to the work they knew best. Over 90% of the shrimp they netted were dried and shipped to China or Chinese communities throughout the US. The museum at China Camp Village helps tell the story of these hardy shrimp fishermen. At Back Ranch Meadows Campground reservations can be made all year-round by calling ReserveCalifornia at 1-800-444-PARK (7275) or going to reservecalifornia.com. All campsites at Back Ranch Meadows campground are HIKE-IN SITES for tent-camping only. Visitors must handcarry all equipment from the parking lot to the campsites. Campsites range from 50-300 yards from the parking lot. Eight persons maximum are allowed in each site. Check in time is 2pm or later and check out is Noon. Enroute camping is available for RV's with a grey water holding tank for one night only. No dump station or hook-ups are available. Enroute Camping is limited to space availability. Check in for enroute camping is 6pm and check out is 9am. A "Hike and Bike" site is available for those who travel to China Camp on foot or by bicycle. An undeveloped Group Campsite is now available. Reservations can be made all year-round by calling ReserveCalifornia at 1-800-444-PARK (7275) or online at reservecalifornia.com. There are 2 beach wheelchairs for anyone in need of one. They can be checked out at the Quan Bros. snack shop on Saturdays and Sundays between the hours of 9-5. Visitors can enjoy wildlife-watching, mountain biking, hiking, picnicking, horseback riding, swimming, boating (small vessels) and windsurfing at the park. Undeveloped boat launch areas are available at Bullhead Flat and lower China Camp Village. Easy access is tide dependent. The Quan Bros. snack shop at China Camp Village is open on weekends. Food, beverages, and ice cream are available. The park offers fifteen miles of hiking, mountain biking and equestrian trails. DOGS ARE NOT PERMITTED ON TRAILS. Dogs are allowed on a leash in the campground and in the day use/picnic areas, including the beach. 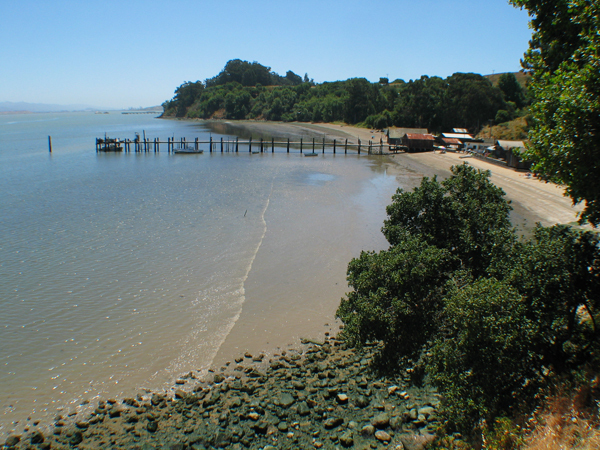 China Camp SP has three reservable picnic sites. Buckeye Point and Weber Point are day use areas situated along San Pablo Bay with views of the water. These two sites can be reserved for up to 50 people. 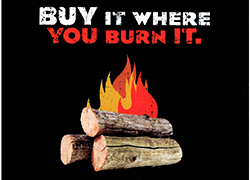 Each site has BBQs, picnic tables and flush toilets. Miwok Meadows Picnic Area is a grassy meadow among Oak and Bay woodlands. It has BBQs, picnic tables, a horseshoe toss area, and chemical toilets (no running water). It can accommodate up to 200 people. If you are interested in reserving Miwok Meadows please contact Friends of China Camp. The climate is coastal-temperate. Winter temperatures are in the 50s. Summer temperatures are in the 70s-90s. The park has an average of more than 200 fog-free days per year. Muir Woods National Monument, Mount Tamalpais State Park, Samuel P. Taylor, Angel Island State Park, Point Reyes National Seashore, and San Francisco. If you are interested in scheduling a group tour or a fieldtrip please contact the China Camp Ranger Office at (415) 456-0766. Docents are available to give China Camp history program and to interpret the natural features of the park. Please note that drones are prohibited at China Camp State Park per Superintendent's Order. China Camp SP is one Facebook! Please click on our guidelines here.